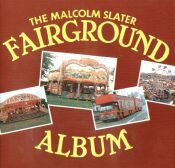 Features pictures of rides  Gallopers, Cakewalk, Razzle Dazzle, Steam Yachts, Snake Slide, Dodgem, Diver Bomber plus more and also the fairground transport used to convey them from location to location. With background information about each ride type and informative captions to the photographs. Inexpensively priced.